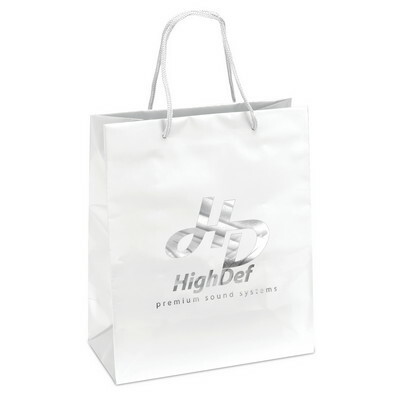 This custom logo the emerald bag has a reinforced fold-over top and cardboard bottom insert. 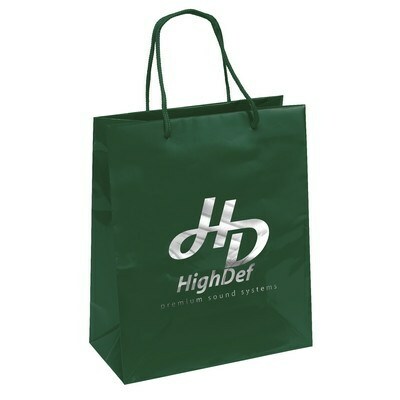 The Emerald bag, available in bright colors, is an ideal, ecofriendly bag that can be used for mass promotion campaigns. It is 100% recyclable, reinforcing your green image in the hearts and minds of your customers. 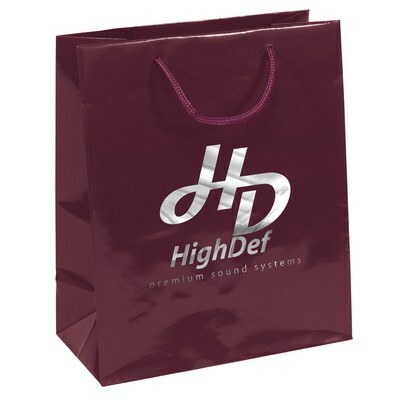 It is made of 128 GSM premium, gloss laminated paper. The tote has matching macramé handles adding to its attraction. It has a reinforced fold-over top. 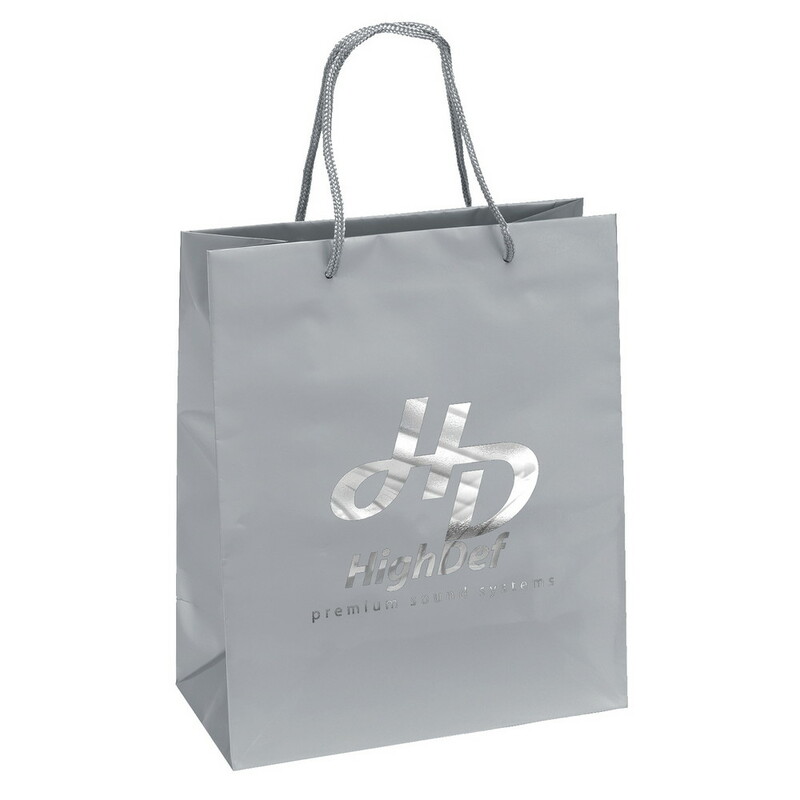 The cardboard bottom insert gives stability to the tote ensuring that the items inside stay secure. 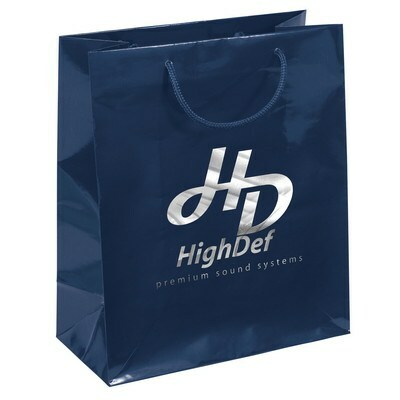 Give it away at trade shows, seminars, conferences, and shopping malls.